Today is one of those days where I just want to go back to bed, eat chocolate, pull the blanket over my head and wait for the next day to begin. Being a such mood also brings back the bloody feeling of being home sick. So instead going to bed and feeling sorry for myself, I better write about the things which I miss and then I will go the gym (a work out will make me feel better too). First, a few facts about Tokyo... The capital of Japan was named the world's most expensive city for expatriate employees in 2009. Rent of an average apartment costs roughly a 6 figure yearly salary. (And you thought, Melbourne's rental prices are expensive...). 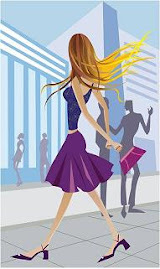 In 2010 Tokyo was also named the fourth Most Liveable City by the life style magazine Monocle (by the way number 1 was Munich, Melbourne number 9 and Berlin number 11). So, I jumped on the plane on a Friday morning, almost straight after my last uni exam on Thursday (Did I mention I love the Singapore Airport and duty free make up shopping?).... and voila, 6 hours and 2 average chick flicks later, I was welcomed by a quite humid Tokyo. Thank God, I was warned, no actually instructed, to take the airport shuttle bus and not a cab to our friends place as a cab ride to the city costs around US 300 (!). Crazy! I guess I am spoiled with the Singapore Airport being only 20 minutes from our apartment and a cab ride costs AUD 20 maximum. 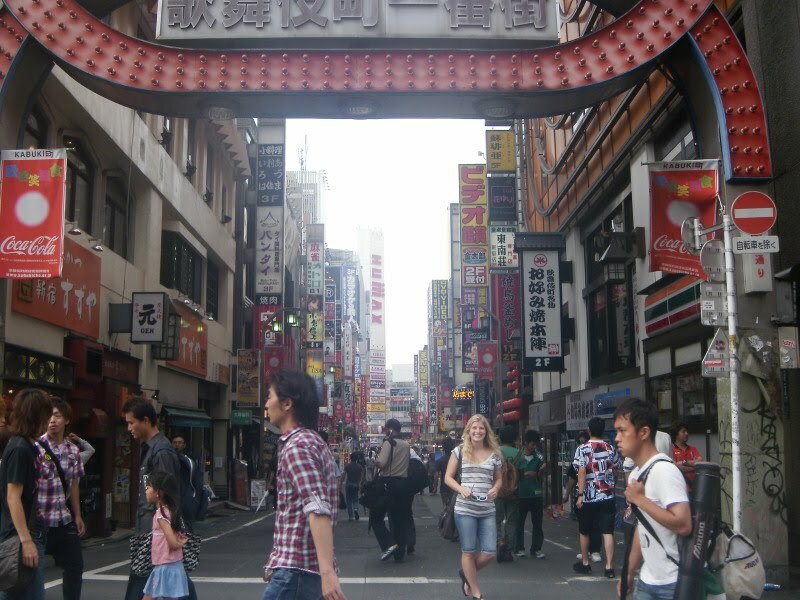 Our friends live in Roppongi which is a popular expat area and famous for its nightlife. We went out for a nice dinner in Roppongi on Friday night. I was so shocked when everyone was shouting at us when we entered the restaurant. My first thought was that our friends are some famous locals now as the main waiter welcomed them like good old buddies, but no, it is very common in Japan that the crowd in the restaurant would greet and say good bye to anyone who enters or leaves a restaurant. Aha, one more thing learnt. The Saturday started with a quick tour through Roppongi and I was surprised by the beautiful local parks. After a stop at Starbucks for an iced latte (yes, my first coffee in 2 weeks and I didn't enjoy it as much as I thought I would! 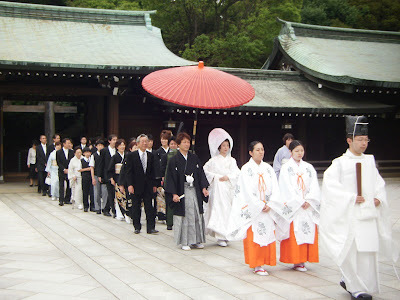 ), we made our way to the shrine Meiji Jingu through Omotesando. Omotesando is a broad, tree-lined avenue leading downhill in Harajuku which lots of western shops like H&M, Zara, Chanel, Omega etc. to see some Harajuku Fashion. Unfortunately we didn't see any of the famous Harajuku fashion girls (photo on the right is just from the net), we saw other crazy dressed girls. Like dressed up like a doll with huge fake eye lashes, white skin, pink lippie and a doll dress. We also found a shop which sells prams for dogs. And guess what, I have seen people with their tiny dogs in a pram. I don't think that I need to add anything to that, do I? I was promised that Saturday night would be a big night and that it would be my karaoke debut (if you don't count my poor attempt at Sing Star at home). Of course, you can't do Karaoke sober and with an empty stomach. So we went for some Dutch coverage and an awesome meal to a small restaurant underneath a train station. Sounds weird, but it was fantastic. 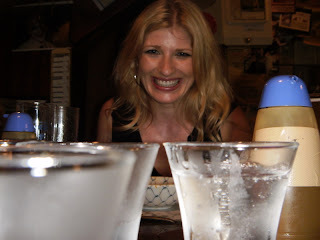 I can't say that I enjoy sake but the one we had was good and way better than the hot stuff I had once before. This is me after a few drinks and not quite sure whether I should look forward to the sake in front of me. After playing of a few of the typical drinking games, we were politely kicked out by the restaurant staff (we were the only one in the restaurant left) - so I guess it was time for Karaoke. 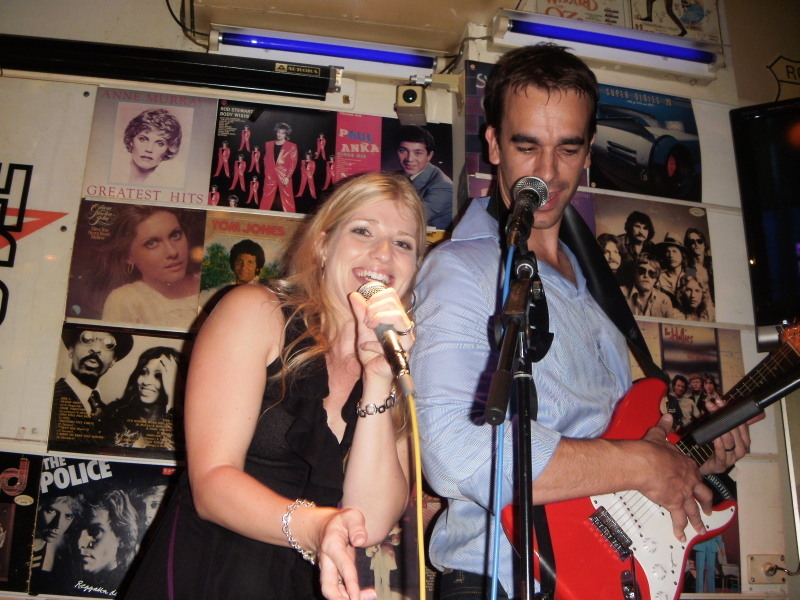 And here, this is me and Steve rocking Queen's Bohemian Rhapsody. A few more songs followed, of course, I had to sing a Robbie Williams song. After a great performance of "Down Under", as our last song, we were again the last to leave the place. Thank God for a McDonalds at 4 am in the morning, I think, it was my rescuer for a hangover free Sunday and no, I do not want to think of the calories I have consumed that morning. On Sunday we caught the train to the Shinjuku area which is a major shopping district and the home of the Kabukicho district, the entertainment and red light district. Oh, and I scored a great bargain at H&M, a lovely bright blue dress. We finished the day with yummy sushi and Germany's awesome 4:1 win against England in the World Cup. Perfect Weekend! On my last day in Tokyo, I explored the areas Ginza and Hibiya, including Tokyo's Imperial Palace - the home of the Emperor of Japan, the Japanese head of state. You don't get much to see of the Palace. 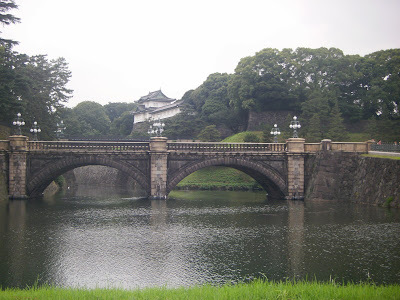 This is the Nijubashi Bridge at the Imperial Place which is supposedly is the most photographed scene in Japan - here you go, I took a photo too. So this was my short trip to Tokyo. Tokyo is very fascinating place and surprisingly quiet and not crowded, considering its population of 13 million or 35 - 39 million depending on the definition which area to count it. It is also very green for a major city. I love to go back and see more, like Mt Fuji and Disney Land. Oh before I forget, going to the toilet in Tokyo for the first time can be quite an experience. Not only the lid closely automatically when you are close to the toilet bowl, there is also a little remote control on the side on it. Lucky the description of the buttons are also in English - my favorite button "Flush Sound". (Note to self: For our next house, we will buy a Japanese toilet, at least no more arguments about closing the lid).